Daily News 23 February 2016: On the southeast coast of Australia, a A$5.7 billion ($4.1 billion) processing plant to turn the ocean into a source of drinking water has sat idle since it was built in 2012. That could change soon. The state of Victoria will decide by April whether to switch it on, sucking water from the Bass Strait through an underground tunnel into a complex of more than two dozen buildings in a seaside town south of Melbourne. At the heart of the facility is technology that can remove salt and supply as much as 150 billion liters (40 billion gallons) of water a year, or about a third of the city’s consumption. 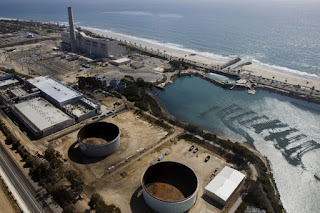 Australia, the world’s driest inhabited continent, largely hasn’t needed more than A$8 billion of desalination plants built in response to the so-called Millennium Drought, and critics have portrayed the Victorian project as a whit...read on.